One book is just never enough! Just because I haven’t added a book to the Marbair’s must read list doesn’t mean that I haven’t spent my daily commute with my nose stuck in a book. Yes, there are mornings that I nap but the real reason that I haven’t been able to tell you about a book is because I’m currently rotating between 4 books. I’ve always been good at multi-tasking but I’m really good at multi-reading. This happens when I can’t decide what type of a book I’m in the mood for. After having read two memoirs back to back, I decided I needed a little Chick-lit and started reading Bridget Jones: Mad About the Boy. The 3rd book of the Bridget Jones series. Bridget Jones is one of my favourite “not real” people. I love her as a potty-mouthed, diary-keeping, calorie-counting, destined-to-be spinster just the way she is. But she didn’t become a spinster, she’s actually 51 with 2 children and I’m having a hard time relating to a Bridget that is attending PTA meetings and raising children. I decided that I would give myself some time to warm up to the idea of a grown up Bridget and started reading “Wheat Belly” It’s no surprise that with Paleo and Gluten Free friends, I would start to question if my challenge to lose some weight might actually have to do with my love for sandwiches. This book is informative and I was really getting into it when my copy of “I am Malala” arrived in the mail. You are now aware that I love memoirs and bios so guess which book was immediately accompanying me on my commute to work. This little girl has seen more in her 16 years than any person should and I’m only half way through the book. While I wasn’t looking to add any more books to the list until I at least got through one of the current ones, someone lent me Divergent. You know, the first book of the new “it” trilogy. I missed my stop yesterday morning because I was so immersed in the book. It’s such an easy read and I’m flying through it. What is it about these teen trilogies that keep me so entertained? At the rate I’m going, I will finish reading it before the week is up and am confident that it will make my must read list, the question though is… will I finally finish the other 3 books that I started or will I get my hands on the second book of the trilogy by Friday! One answer I do have is that one book is just never enough! 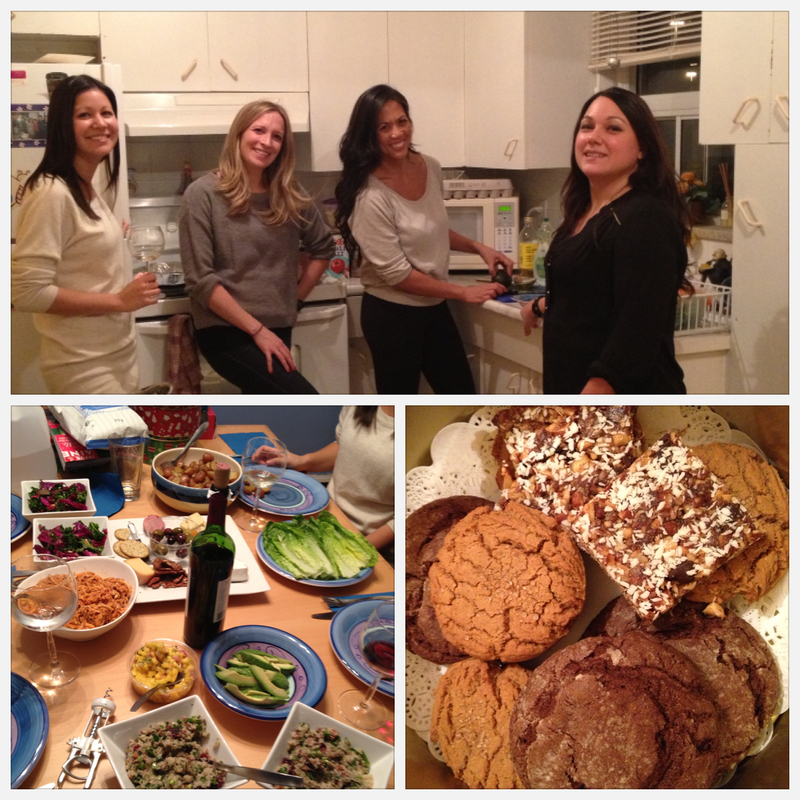 Toronto had its first snow fall over the weekend which is fitting since I hosted my first holiday baking party! After being away for 2 weeks dog-sitting Ms. Maggie, it was a busy weekend of cleaning up and getting prepared for company. Nothing and I mean nothing motivates you more to clean than knowing you are having company. And by cleaning, I mean shoving things in cupboards, drawers and bags than neatly arranging those bags in rows that make a room look tidy. If anyone was to look in the bags, they would see my sweaters shoved in the same bag as my bills and if they opened my drawers, they would see I crammed my blow dryer with my socks and somehow my Stella & Dot mini looks books were hided in the bathroom cupboard beside my hair brush. My place is a OCD nightmare but I dusted and had wine so really, I had my priorities straight. I am no Martha Stewart but I do like having people over so I thought a holiday baking party would be a good idea. There was one issue… I had also invited them to stay for dinner and I only know how to make lasagna which wasn’t going to work. G follows a 85% paleo diet and the 15% cheating doesn’t include pasta. She saves that for things like wine or milk chocolate. Makes sense. My friend A only eats gluten free, ST is a picky eater and SK should be on Masterchef so nothing I made was going to taste as good as anything she can just whip up. The girls must have sensed my panic because after a little back and forth texting, it seems like not only was I inviting people over to help me bake holiday cookies, they were also going to make their own dinner. 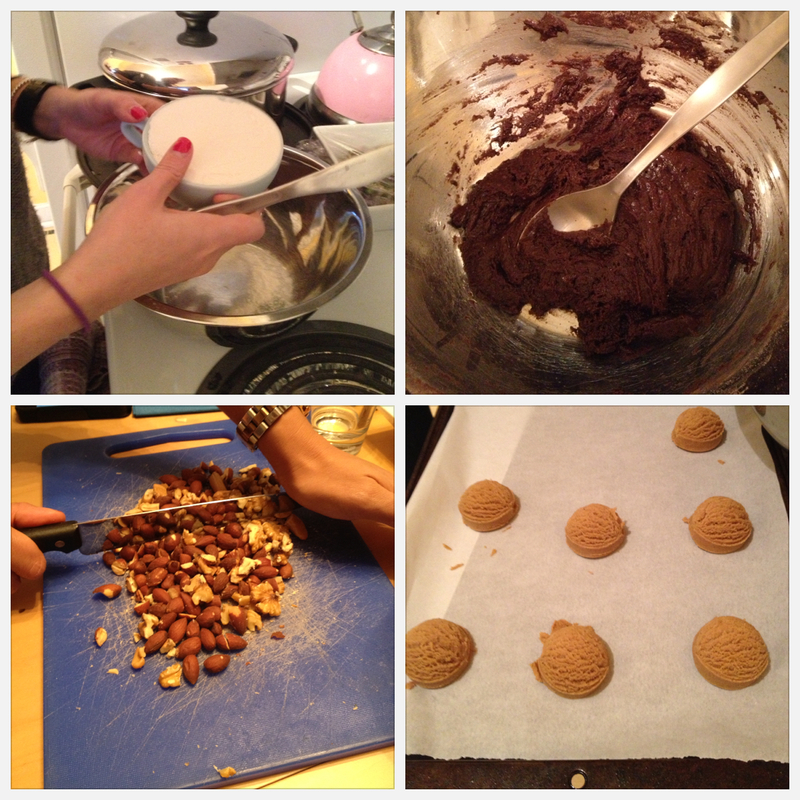 Yep, Sunday I hosted a cooking/baking party. It was kind of like a potluck but they wouldn’t cook in advance, we would all cook and bake together. A concept that you probably won’t see featured in Martha’s hostess with the mostess issue but one that I think more women should embrace. My kitchen has never seen so much action. We used bowls, utensils and a rolling pen that I was surprised to find out I owned. I managed to learn things like always use unsalted butter for baking, avocados don’t go in the fridge and the difference between using the bake vs. broil option of the oven. I told you that I don’t cook so don’t be so surprised. I’m thinking of attempting to make some chocolate chip cookies this week since we ran out of time yesterday. With these gals, health trumps guilty pleasures. Not sure it will be as much fun as having my girlfriends baking along beside me but they sure have sparked in interest spending more time in the kitchen! Maybe instead of cooking lessons, I’ll just plan more cooking/baking parties. At the very least I have started a new holiday baking party tradition!